James Clarke Physical Therapy was founded by James Clarke to care for patients of all ages. 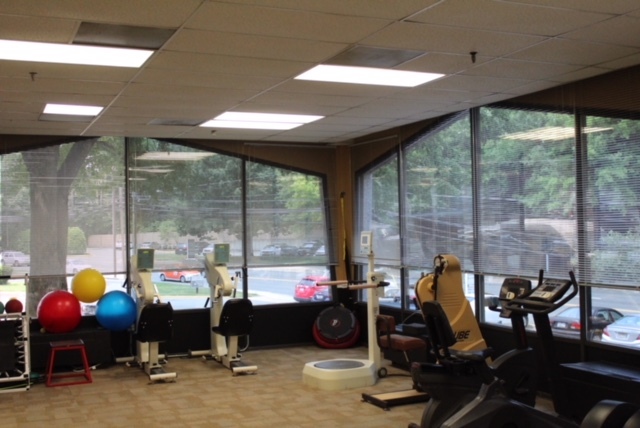 At James Clarke Physical Therapy, we address the needs of our patients in order to alleviate physical pain and to comfort patients both mentally and emotionally through the rehabilitation process. With a small, energetic team, we at James Clarke Physical Therapy are able to provide individualized, comprehensive care to each of our patients. Jim opened James Clarke Physical Therapy in 1992 and has been leading his practice ever since. Jim attended the University of Maryland for his undergraduate career. He then went on to receive his Physical Therapy Degree from Howard University. He holds Physical Therapy licenses in Maryland, Washington, D.C, Delaware, and North Carolina. Jim treats every patient that walks through the doors of both of his offices, providing special attention and care to the needs of his patients. Always striving to provide his patients with the best care possible, Jim continually attends educational seminars to update his knowledge and skills. Jim has received various honors and recognition for his work as a physical therapist, most notably being the John Carroll Society Pro Bono Healthcare Award from the Archdiocese of Washington. Jim strives to remain connected to the communities he serves. In doing so, Jim is a member of both the American Physical Therapy Association, the Archdiocesan Health Care Network, and Project Access, a specialty care refferal network administered by the Primary Care Coaltion of Montgomery County, Maryland. Within the Archdiocesan Health Care Network and Project Access, Jim works alongside low-income and uninsured patients to provide care plans that suit their needs financially. Additionally, you can find Jim on the sidelines of every home and away Damascus High School Varsity Football game as Jim works alongside Doctor Ellen Smith to assist with any sports medicine needs at the games. Not only does Jim work directly with Dr. Smith and the Damascus High School Varsity Football team but he also supports other local Damascus teams by providing physical therapy to many of the teams’ players. When not at the office, Jim loves spending time with his wife and four daughters. Jim’s unconditional care for his family spills over into his practice, as he cares for all of his patients as if they are a part of his own family. Emily began her time with James Clarke Physical Therapy not as an employee but as a patient. The great care Emily recevied as well as the relationships she developed with Jim and the entire team inspired her to pursue a career in physical therapy. Emily has worked at James Clarke Physical Therapy since 2013. She received her Physical Therapy Assistant license in 2017. Having been a member of the James Clarke Physical Therapy family for many years now, Emily understands the quality of care that this office provides and invests her time and energy into each and every patient–always with a smile! An avid basketball player throughout her childhood and college career as well as a lover of the game, Emily coaches various basketball teams in the area. When not in either of the two offices working with patients, Emily can be found coaching the 1 On None girls’ basketball team. Trish began working with James Clarke Physical Therapy in 1994 as the office manager and has been ensuring the successful management of the office ever since. Her commitment to patients and to this office make the business operations of James Clarke Physical Therapy run smoothly. Trish is one of the first faces that greets each patient as they walk through the doors of James Clarke Physical Therapy, and she ensures that each patient has an excellent experience from the first moment they arrive until the day they are discharged from the office. Having invested her career in James Clarke Physical Therapy, Trish understands the foundations of the practice and commits herself to ensure that the office maintains its superior level of care for all of its patients.